Please get in touch with the facilities to check which activities are providing and their timetables. Most from the Indoor Pools in Cheshire give both open lanes for independent swimming and also guided activities like water aerobics or aquabike. Thanks to some new Swimming Pools submitted every day, Swimia.com is growing everyday the number of stored pools. Please do not hesitate to contact us if you discover any inaccurate or incomplete information. 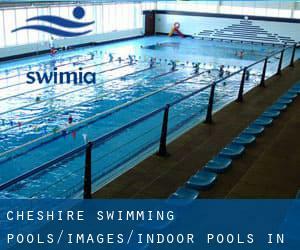 Please check the nearest Indoor Pools in Cheshire or Contact us to ADD IT. It is no cost! Traveling to Cheshire? This is the right spot on the web to find places to swim in Cheshire. Each day you are not swimming you're losing precious time to increase your skills a be a much better swimmer! No extra excuses!. Swimia.com wants your feedback to ensure all the information is valid, given that perhaps this pool is no longer open to the public. Let us tell you a secret to switch off although you might be in Appleton Thorn: just choose a Pool in Appleton Thorn and plunge into the water! There's no alot more powerful system. Holding an estimated population of 2.218, Halton is one of the most important cities in Cheshire. Check all of the Pool in Halton and its surrounding area. It's difficult to visit Cheshire without dropping by Bowdon (with 6.214 residents). Presently Swimia is showing you all the Pool in Bowdon and also the closest pools located in its vicinity. Without a shadow of a doubt, swimming in Rode Heath is the best method to unwind after perform. Take a couple of minutes to browse Swimia's catalog to find a Pool in Rode Heath. Swimming is really a excellent thought to keep your body active during your visit to Over (Cheshire), or even if you are a local. Swimia helps you to find your closest Swimming Pool in Over. Yew Tree Lane , Poynton , England , UNITED KINGDOM (Postal Code: SK12 1PU). Among all of the activities offered by the center, for anyone who is thinking about swimming you can enjoy 20 meters x 9 meters, Indoors. If you need to contact this Swimming Pool, email address and phone number are both number.